Bugles are associated with baseball. It’s a rare game where you don’t hear the cavalry charge being sounded. Or the six note call-da-da-da-daaa-da-daaa charge call. Just when the tradition started needs further research but here is Baltimore’s own Pat Walker who was the Baltimore Orioles’ unofficial bugler at Memorial Stadium. 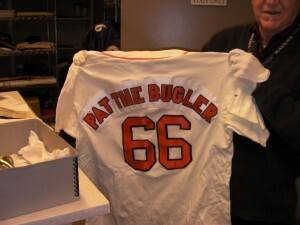 Before Wild Bill Hagy there was Pat The Bugler. 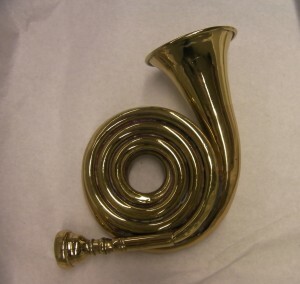 Charles “Pat” Walker’s bugle could be heard all over Memorial Stadium, from the bleachers to home plate. He grew up in Ellicott City, Maryland during the Great Depression, found an old bugle in an attic and taught himself to play. 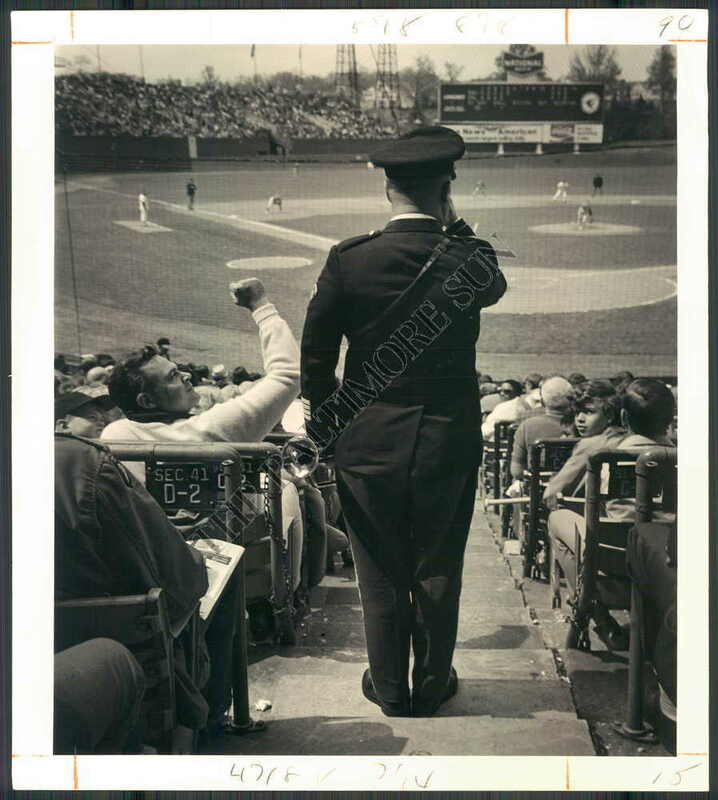 In the Army for 23 years, he developed a repertoire of 22 bugle calls, including the cavalry charge heard for many years during Orioles games. Age and the loss of teeth put him out of commission for a while in the 1980s – fans actually booed the poor man in 1985 – but, after some repairs at the University of Maryland Dental School, Walker went back into action and ended up tooting his horn at Bowie Baysox games by the mid-1990s. 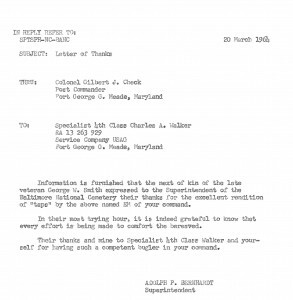 In a last gesture, Walker mounted his bugle on a plaque with the inscription: “To the Babe Ruth Birthplace and Museum, Donated by Charles A. Walker, 3-17-97.” He died within weeks, said curator Greg Schwalenberg. 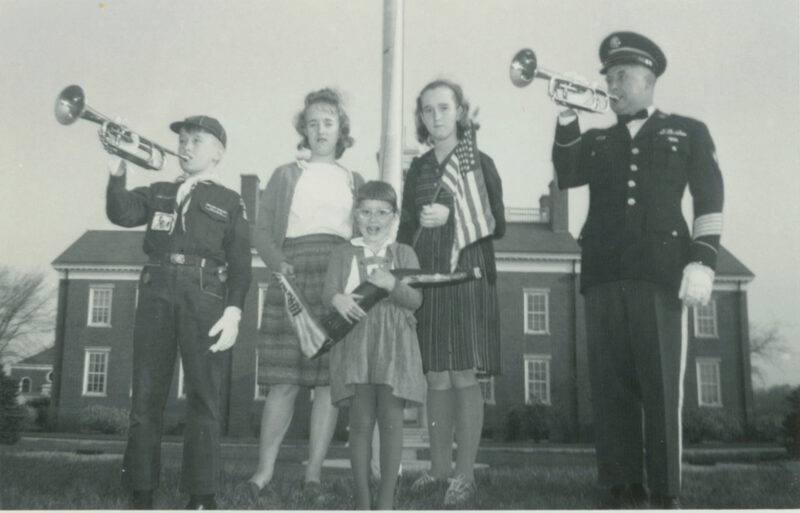 Before he was a bugler at Memorial Stadium, Charles “Pat” Walker was a soldier stationed at Fort Meade Maryland. 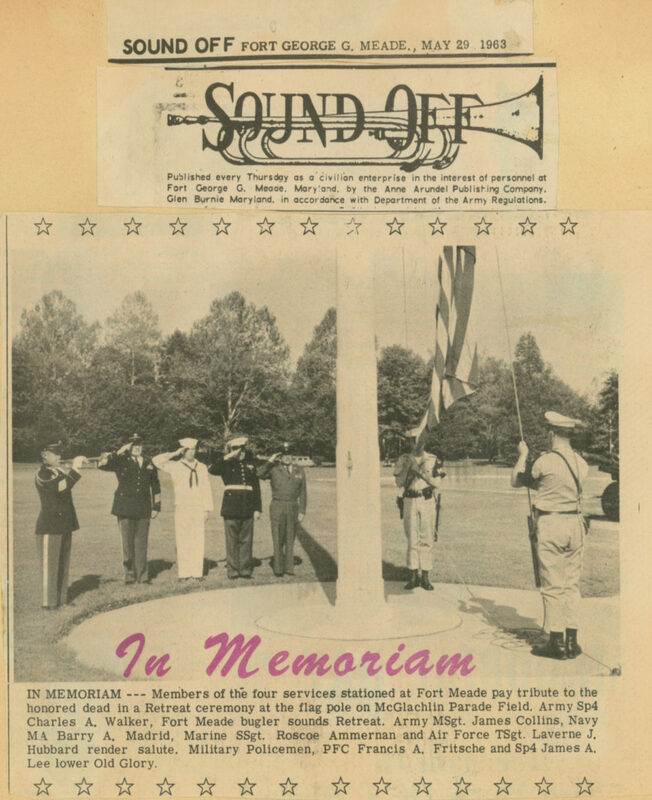 He had learned to play the bugle again after a lapse of 17 years and sounded calls at Fort Meade. He even traveled to Washington to take some lessons with Keith Clark, principal bugler with the US Army Band. 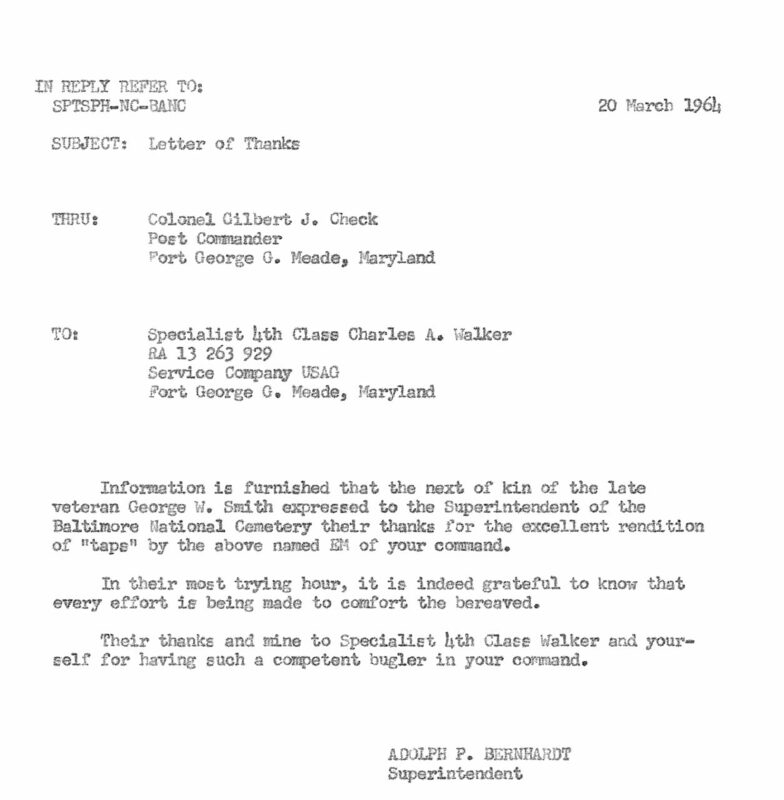 Walker also sounded Taps at funerals in the Baltimore area even receiving a letter of thanks. 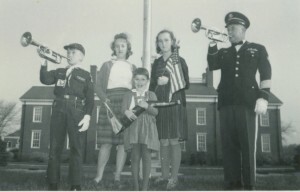 After his retirement from the Army he started playing bugle calls at Memorial Stadium. He was a fixture at the stadium for years. 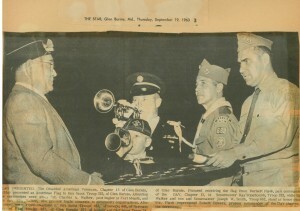 America’s last combat bugler knew it was time to put down his horn when they started booing him at Memorial Stadium. The year was 1985 and the old soldier, celebrated at the 33rd Street ballpark as “Pat the Bugler,” was down to his last four teeth. He saved money for seven quiet years, and this past summer took the money he’d made working in the commissary at Fort Meade to the University of Maryland Dental School in Baltimore where surgeons fixed him up with a new set of teeth. Traditional dentures would not do because the force of wind necessary to blow a bugle pushes the plates out of place. The day in 1985 when Mr. Walker was booed at the ballpark, a few dentists happened to be sitting nearby and told him about “implants,” a process in which titanium screws are anchored into bone beneath the gums and false teeth are fixed to the screws. The vise-tight procedure dispenses with the need for such adhesive goop as Poli-Grip and Ora-Fix, but it’s not cheap. While dentists in private practice typically charge about $1,200 per tooth, it is costing Mr. Walker about $700 a tooth at the dental school. He is being fitted for six of them, enough to make music again once the operation heals. “I would have loved to play the first Opening Day at Camden Yards but couldn’t do it because of the teeth situation,” Mr. Walker said recently at the dental school. Pointing to Dr. David Skopp, he said: “This is my savior.” Dr. Skopp knew nothing of his patient’s renown until the day Mr. Walker brought in a big cardboard box stuffed with a dozen scrapbooks trumpeting his career. “It’s rewarding to restore someone’s self-esteem,” the dentist said. And for Mr. Walker — a career soldier who volunteered for duty in Vietnam in 1966 because he thought it important to blow live taps for dead servicemen — the return of teeth heralds a return of his identity. 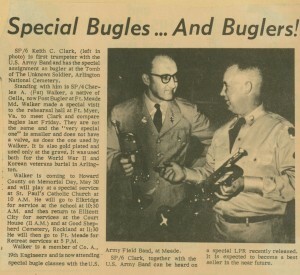 This entry was posted on Wednesday, April 3rd, 2019 at 4:45 pm	and is filed under Bugle Stories, Buglers Through History, History of Taps, History of the Bugle, Taps in Recent History. You can follow any responses to this entry through the RSS 2.0 feed. You can leave a response, or trackback from your own site. I was really happy to this. I want to thank you also as my aunt Lynn did. Like my aunt Jean said on the picture above. That is my grandfather to the very right. And to the very left. That is my father. I miss them both greatly. Once again. Thank you so much for posting this. Nice to know a little more about my family’s history. You can also email me if you like. More then willing to talk to you. Mr. Walker is/was my Dad. 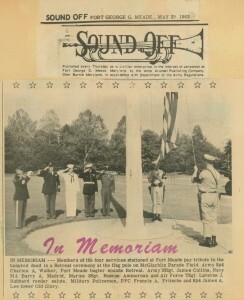 I am in one of the pictures and was one of the Bugle Tones. I would be happy to answer any questions you might have that I might have the answers to. Out of the five of us pictured only 2 of us are still living. This is my father. Thank you for putting this on the internet. Our family really appreciates it. You can email me if you like. Each sub culture and independent people have their own views of what is considered desirable, as far as tangible beauty is concerned, and many people will go to great lengths to change their image to reflect that perception of ideal natural beauty.